RDNs are well-aware of the significant body of evidence relating to the Mediterranean diet its effectiveness at preventing heart attack, stroke, premature death and other diseases. However, RDNs are also aware that their patients and clients can have significant difficulty incorporating the old ways of the Mediterranean lifestyle into their modern lifestyles. With so many choices and conveniences there are many challenges to sticking to an old world pattern of eating. Besides, why would anyone want to give up convenience and choice? Patients and clients demand food 24-7, eat out often and have a hard time taking the required 20 minutes to digest a meal in order for the brain to register fullness. The clutter of mixed messages about what to eat creates even more confusion. So where can they turn? The solutions to some of the barriers to the Mediterranean diet pattern lie in the modern lifestyles and dietary practices of today’s healthiest European countries, with the lowest rates of heart disease, obesity and longest lifespans: Switzerland, Italy and France. People in these countries practice "walking the line" between staying healthy and enjoying their decadent foods. In this innovative webinar, Layne Lieberman, MS, RDN, CDN, examines the Mediterranean diet pattern in the context of the modern European lifestyle and makes practical recommendations about how RDNs can encourage their patients and clients to adapt to this European lifestyle. Layne Lieberman, MS, RD, CDN, is an award winning registered dietitian-nutritionist, culinary travel leader and entrepreneur. Layne spent 20 years as Director of Nutrition for America's first supermarket chain. She is author of Beyond the Mediterranean Diet: European Secrets of the Super‑Healthy. 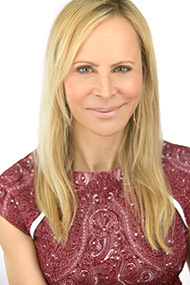 Layne holds a Bachelor of Science degree in Nutritional Biochemistry from Cornell University and a Master of Science degree in Clinical Nutrition from New York University. She completed both an internship and fellowship at the Albert Einstein College of Medicine, and trained at the Culinary Institute of America. Layne and her husband live between New York, Colorado and Florida. Visit her website, World RD, and follow her on Facebook, Twitter, LinkedIn, Google+, Pinterest and Instagram. For more than 140 years, The Quaker Oats Company has been finding innovative ways to help people benefit from the power of whole grain oats. The simplicity, nutrition potential (especially from fiber), and versatility make oats uniquely positioned to deliver on modern nutrition wants. From heart health, to digestive health, to lasting energy, oats are a simple option that can help contribute to an overall healthy lifestyle. For more information, please visit www.quakeroats.com. This complimentary 1-credit continuing education webinar is brought to you with support from Quaker. Please note that Quaker provided financial support only and did not have input into the information provided in this course. Layne Lieberman, MS, RD, CDN, reports the following relevant disclosure: she is a consultant for Tyson Foodservice. She has certified that no conflict of interest exists for this program. View our disclosure policy.